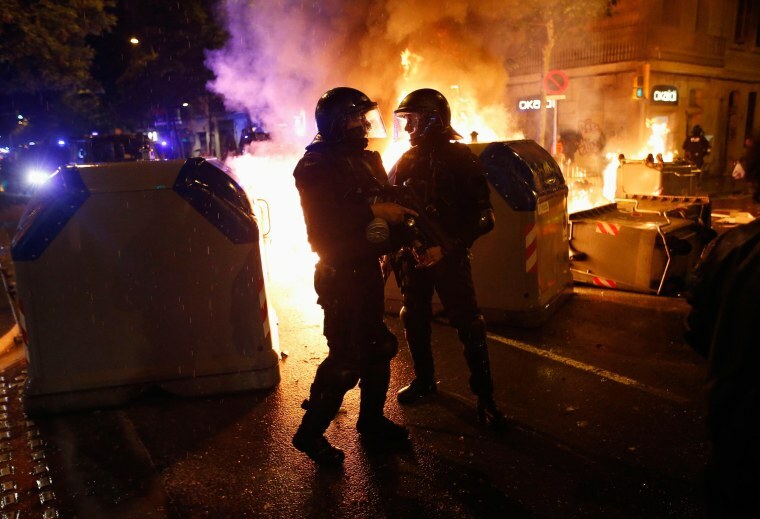 Demonstrators clashed with police during a protest against the eviction of squatters from a building in Barcelona on Wednesday. Police evicted activists from the iconic Can Vies center on Monday, occupied since 1997, following a court order when negotiations broke down between the city of Barcelona and the youth occupying the building. The building was demolished as soon as the squatters were evicted. Above, police stand next to burning containers during a protest against the evictions.